Pericles (/ˈpɛrɪkliːz/; Greek: Περικλῆς Periklēs, pronounced [pe.ri.klɛ̂ːs] in Classical Attic; c. 495 – 429 BC) was a prominent and influential Greek statesman, orator and general of Athens during its golden age – specifically the time between the Persian and Peloponnesian wars. He was descended, through his mother, from the powerful and historically influential Alcmaeonid family. 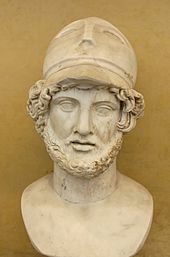 Pericles had such a profound influence on Athenian society that Thucydides, a contemporary historian, acclaimed him as "the first citizen of Athens". Pericles turned the Delian League into an Athenian empire, and led his countrymen during the first two years of the Peloponnesian War. The period during which he led Athens, roughly from 461 to 429 BC, is sometimes known as the "Age of Pericles", though the period thus denoted can include times as early as the Persian Wars, or as late as the next century. Pericles' manner of thought and rhetorical charisma may have been in part products of Anaxagoras' emphasis on emotional calm in the face of trouble, and skepticism about divine phenomena. His proverbial calmness and self-control are also often regarded as products of Anaxagoras' influence. Ephialtes' murder in 461 BC paved the way for Pericles to consolidate his authority. [δ] Without opposition after the expulsion of Cimon, the unchallengeable leader of the democratic party became the unchallengeable ruler of Athens. He remained in power until his death in 429 BC. 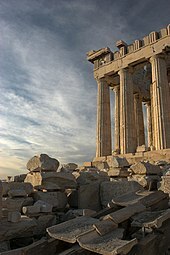 The Parthenon was prompted by Pericles. In 430 BC, the army of Sparta looted Attica for a second time, but Pericles was not daunted and refused to revise his initial strategy. Unwilling to engage the Spartan army in battle, he again led a naval expedition to plunder the coasts of the Peloponnese, this time taking 100 Athenian ships with him. According to Plutarch, just before the sailing of the ships an eclipse of the sun frightened the crews, but Pericles used the astronomical knowledge he had acquired from Anaxagoras to calm them. 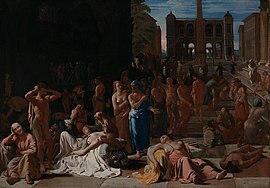 In the summer of the same year an epidemic broke out and devastated the Athenians. The exact identity of the disease is uncertain, typhus or typhoid fever are suspected, but this has been the source of much debate. [θ] In any case, the city's plight, caused by the epidemic, triggered a new wave of public uproar, and Pericles was forced to defend himself in an emotional final speech, a rendition of which is presented by Thucydides. This is considered to be a monumental oration, revealing Pericles' virtues but also his bitterness towards his compatriots' ingratitude. Temporarily, he managed to tame the people's resentment and to ride out the storm, but his internal enemies' final bid to undermine him came off; they managed to deprive him of the generalship and to fine him at an amount estimated between 15 and 50 talents. 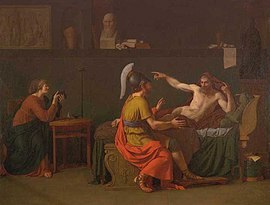 Ancient sources mention Cleon, a rising and dynamic protagonist of the Athenian political scene during the war, as the public prosecutor in Pericles' trial. Nevertheless, within just a year, in 429 BC, the Athenians not only forgave Pericles but also re-elected him as strategos. [ι] He was reinstated in command of the Athenian army and led all its military operations during 429 BC, having once again under his control the levers of power. In that year, however, Pericles witnessed the death of both his legitimate sons from his first wife, Paralus and Xanthippus, in the epidemic. His morale undermined, he burst into tears and not even Aspasia's companionship could console him. He himself died of the plague in the autumn of 429 BC. Thucydides (the historian), an admirer of Pericles, maintains that Athens was "in name a democracy but, in fact, governed by its first citizen". Through this comment, the historian illustrates what he perceives as Pericles' charisma to lead, convince and, sometimes, to manipulate. Although Thucydides mentions the fining of Pericles, he does not mention the accusations against Pericles but instead focuses on Pericles' integrity. [κ] On the other hand, in one of his dialogues, Plato rejects the glorification of Pericles and declares: "as I know, Pericles made the Athenians slothful, garrulous and avaricious, by starting the system of public fees". Plutarch mentions other criticism of Pericles' leadership: "many others say that the people were first led on by him into allotments of public lands, festival-grants, and distributions of fees for public services, thereby falling into bad habits, and becoming luxurious and wanton under the influence of his public measures, instead of frugal and self-sufficing". 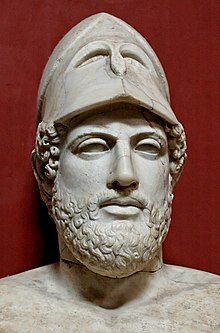 During the Peloponnesian War, Pericles initiated a defensive "grand strategy" whose aim was the exhaustion of the enemy and the preservation of the status quo. According to Platias and Koliopoulos, Athens as the strongest party did not have to beat Sparta in military terms and "chose to foil the Spartan plan for victory". The two basic principles of the "Periclean Grand Strategy" were the rejection of appeasement (in accordance with which he urged the Athenians not to revoke the Megarian Decree) and the avoidance of overextension. 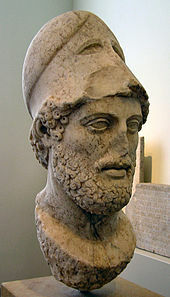 [λ] According to Kagan, Pericles' vehement insistence that there should be no diversionary expeditions may well have resulted from the bitter memory of the Egyptian campaign, which he had allegedly supported. His strategy is said to have been "inherently unpopular", but Pericles managed to persuade the Athenian public to follow it. It is for that reason that Hans Delbrück called him one of the greatest statesmen and military leaders in history. Although his countrymen engaged in several aggressive actions soon after his death, Platias and Koliopoulos argue that the Athenians remained true to the larger Periclean strategy of seeking to preserve, not expand, the empire, and did not depart from it until the Sicilian Expedition. For his part, Ben X. de Wet concludes his strategy would have succeeded had he lived longer. Although Pericles was a main source of his inspiration, some historians have noted that the passionate and idealistic literary style of the speeches Thucydides attributes to Pericles is completely at odds with Thucydides' own cold and analytical writing style. [ο] This might, however, be the result of the incorporation of the genre of rhetoric into the genre of historiography. That is to say, Thucydides could simply have used two different writing styles for two different purposes. Nothing was more alien to the Greeks than the notion of a separation between Church and State. In Athens, the community provided a tight framework for religious manifestations while, symmetrically, religion was deeply embedded in civic life. Within this context, participation in the rituals was an action highly political in the broadest sense of the term. To analyze Pericles's relations with gods, one has to position oneself at the intersection of the general and the particular, where what was personal and what was shared by the whole community came together. On the one hand, the career of the strategos will illuminate the Athenians' collective relationship to all that was divine. As a reelected strategos and a persuasive orator, Pericles was the spokesman of a civic religion that was undergoing a mutation. He was implicated in a policy of making constant offerings and of launching huge architectural religious works not only on the Acropolis but also throughout Attica; and, furthermore, he was engaged in such activities at a time when city was introducing profound changes into its religious account of its origins—that is, autochthony—within a context of strained diplomatic relations. On the other hand, the ancient sources made it possible to glimpse the personal relations that Pericles had developed with gods. These were relations of proximity in the first place: he was sometimes depicted as a protégé of goddess Athena, but in Attic comedies he was also assimilated to god Zeus, in an analogy that was in no way flattering. But then, there were also relations that emphasized distance: some philosophical accounts presented him as a man close to the sophists or even as a freethinker. Finally, there were relations involving irreverence: some later and less trustworthy sources made much of several trials for impiety in which those close to him were involved, and this raises the question of religious tolerance in fifth-century Athens and, in particular, how far individuals enjoyed freedom of thought when faced with the civic community. ^ a b c d e f Thucydides records several speeches which he attributes to Pericles; however, he acknowledges that: "it was in all cases difficult to carry them word for word in one's memory, so my habit has been to make the speakers say what was in my opinion demanded of them by the various occasions, of course adhering as closely as possible to the general sense of what they really said." ^ Pericles' date of birth is uncertain; he could not have been born later than 492–1 and been of age to present the Persae in 472. He is not recorded as having taken part in the Persian Wars of 480–79; some historians argue from this that he was unlikely to have been born before 498, but this argument ex silentio has also been dismissed. ^ Plutarch says "granddaughter" of Cleisthenes, but this is chronologically implausible, and there is consensus that this should be "niece". ^ According to Aristotle, Aristodicus of Tanagra killed Ephialtes. Plutarch cites an Idomeneus as saying that Pericles killed Ephialtes, but does not believe him – he finds it to be out of character for Pericles. 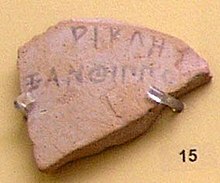 ^ According to Plutarch, it was thought that Pericles proceeded against the Samians to gratify Aspasia of Miletus. ^ Plutarch describes these allegations without espousing them. Thucydides insists, however, that the Athenian politician was still powerful. Gomme and Vlachos support Thucydides' view. ^ Vlachos maintains that Thucydides' narration gives the impression that Athens' alliance had become an authoritarian and oppressive empire, while the historian makes no comment for Sparta's equally harsh rule. Vlachos underlines, however, that the defeat of Athens could entail a much more ruthless Spartan empire, something that did indeed happen. Hence, the historian's hinted assertion that Greek public opinion espoused Sparta's pledges of liberating Greece almost uncomplainingly seems tendentious. 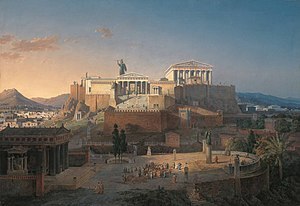 Geoffrey Ernest Maurice de Ste Croix, for his part, argues that Athens' imperium was welcomed and valuable for the stability of democracy all over Greece. According to Fornara and Samons, "any view proposing that popularity or its opposite can be inferred simply from narrow ideological considerations is superficial". ^ Taking into consideration its symptoms, most researchers and scientists now believe that it was typhus or typhoid fever and not cholera, plague or measles. ^ Pericles held the generalship from 444 BC until 430 BC without interruption. ^ Vlachos criticizes the historian for this omission and maintains that Thucydides' admiration for the Athenian statesman makes him ignore not only the well-grounded accusations against him but also the mere gossips, namely the allegation that Pericles had corrupted the volatile rabble, so as to assert himself. ^ According to Vlachos, Thucydides must have been about 30 years old when Pericles delivered his Funeral Oration and he was probably among the audience. ^ Vlachos points out that he does not know who wrote the oration, but "these were the words which should have been spoken at the end of 431 BC". According to Sir Richard C. Jebb, the Thucydidean speeches of Pericles give the general ideas of Pericles with essential fidelity; it is possible, further, that they may contain recorded sayings of his "but it is certain that they cannot be taken as giving the form of the statesman's oratory". John F. Dobson believes that "though the language is that of the historian, some of the thoughts may be those of the statesman". C.M.J. Sicking argues that "we are hearing the voice of real Pericles", while Ioannis T. Kakridis claims that the Funeral Oration is an almost exclusive creation of Thucydides, since "the real audience does not consist of the Athenians of the beginning of the war, but of the generation of 400 BC, which suffers under the repercussions of the defeat". Gomme disagrees with Kakridis, insisting on his belief to the reliability of Thucydides. ^ That is what Plutarch predicates. Nonetheless, according to the 10th century encyclopedia Suda, Pericles constituted the first orator who systematically wrote down his orations. Cicero speaks about Pericles' writings, but his remarks are not regarded as credible. Most probably, other writers used his name. ^ Ioannis Kalitsounakis argues that "no reader can overlook the sumptuous rythme of the Funeral Oration as a whole and the singular correlation between the impetuous emotion and the marvellous style, attributes of speech that Thucydides ascribes to no other orator but Pericles". According to Harvey Ynis, Thucydides created the Pericles' indistinct rhetorical legacy that has dominated ever since. ^ S. Muhlberger, Periclean Athens Archived 2011-04-14 at the Wayback Machine. ^ 2.37; Thucydides disclaims verbal accuracy[dead link]. ^ a b c d "Pericles". Encyclopædia Britannica. 2002. ^ "Pericles". Oxford Classical Dictionary. 1996. ^ a b J. Fine, The Ancient Greeks, 359–61. ^ Wade-Grey, The Question of Tribute in 449/8 B.C., 212–29. ^ Roisman, J., Ancient Greece from Homer to Alexander: The Evidence. John Wiley & Sons, 2011, p. 26. ^ Tracy, Stephen V. (2009). Pericles: A Sourcebook and Reader. Berkeley: University of California Press. p. 19. ^ Kennedy, Rebecca Futo (2014). Immigrant Women in Athens: Gender, Ethnicity and Citizenship in the Classical City. p. 17. ^ a b A.G. Platias-C. Koliopoulos, Thucydides on Strategy, 119–20. ^ a b c d Sicking, C. M. J. (1995). "The General Purport of Pericles' Funeral Oration and Funeral Speech". Hermes. 123 (4): 404–25. JSTOR 4477104. ^ Kagan, Donald (2003). The Peloponnesian War. Viking. ISBN 978-0-641-65469-5. ^ Sourvinou-Inwood, C. 1990. What is polis religion? in The Greek City from Homer to Alexander, ed. O. Murray and S. Price. Oxford, UK:Clarendon Press, 295-322. ^ Vincent Azoulay, 2014. Pericles of Athens, trans. Janet Lloyd. Princeton and Oxford,108. Aristotle. Athenian Constitution . Translated by Frederic George Kenyon – via Wikisource. . See original text in Perseus program. Plato, Alcibiades I. See original text in Perseus program (translation) from Plato (1955). Plato in Twelve Volumes, Vol. 8. W.R.M. Lamb (trans.). Cambridge, MA: Harvard University Press. ISBN 978-0-674-99184-2. Plato, Menexenus. See original text in Perseus program (translation) from Plato (1925). Plato in Twelve Volumes, Vol. 9. W.R.M. Lamb (trans.). Cambridge, MA: Harvard University Press. ISBN 978-0-674-99185-9. Plato, Phaedrus, See original text in Perseus program (translation) from Plato (1903). Platonis Opera. John Burnet (ed.). Oxford University Press. Aird, Hamish (2004). Pericles: The Rise and Fall of Athenian Democracy. The Rosen Publishing Group. ISBN 978-0-8239-3828-5. Badian, E. (1987). "The Peace of Callias". "Journal of Hellenic Studies". 107: 1–39. doi:10.2307/630067. JSTOR 630067. Blois de, Lukas (1997). An Introduction to the Ancient World. Routledge (UK). ISBN 978-0-415-12774-5. Cunningham L.S., Reich J.J. (2005). Culture And Values. Thomson Wadsworth. ISBN 978-0-534-58228-9. Davis, John Kenyon (1971). Athenian propertied families, 600–300 B.C. Clarendon Press. ISBN 978-0-19-814273-7. Dobson, J.F. (1919). "Pericles as an orator". The Greek Orators. London: Methuen. Retrieved 2007-01-12. Ehrenberg, Victor L. (1990). From Solon to Socrates. Routledge (UK). ISBN 978-0-415-04024-2. Fine, John V.A. (1983). The Ancient Greeks: A critical history. Harvard University Press. ISBN 978-0-674-03314-6. Gomme, A. W.; A. Andrewes; K. J. Dover (1945–1981). An Historical Commentary on Thucydides (I-V). Oxford University Press. ISBN 978-0-19-814198-3. Henri, Madeleine M. (1995). Prisoner of History. Aspasia of Miletus and her Biographical Tradition. Oxford University Press. ISBN 978-0-19-508712-3. Hornblower, Simon (2002). The Greek World 479–323 BC. Routledge (UK). ISBN 978-0-415-15344-7. Hurwit, Jeffrey M. (2004). The Acropolis in the Age of Pericles. Cambridge University Press. ISBN 978-0-521-82040-0. Just, Roger (1991). 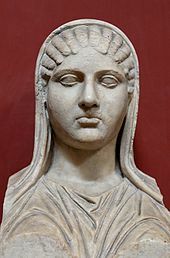 Women in Athenian Law and Life. Routledge (UK). ISBN 978-0-415-05841-4. Kagan, Donald (1996). "Athenian Strategy in the Peloponnesian War". The Making of Strategy: Rules, States and Wars by Williamson Murray, Alvin Bernstein, MacGregor Knox. Cambridge University Press. ISBN 978-0-521-56627-8. Kagan, Donald (1974). The Archidamian War. Ithaca: Cornell University Press. ISBN 978-0-8014-0889-2. Kagan, Donald (1989). The Outbreak of the Peloponnesian War. Ithaca: Cornell University Press. ISBN 978-0-8014-9556-4. Kagan, Donald (2003). "War aims and resources (432–431)". The Peloponnesian War. Viking Penguin (Penguin Group). ISBN 978-0-670-03211-2. Katula, Richard A. (2003). "The Origins of Rhetoric". A Synoptic History of Classical Rhetoric by James J. Murphy, Richard A. Katula, Forbes I. Hill, Donovan J. Ochs. Lawrence Erlbaum Associates. ISBN 978-1-880393-35-2. Libourel, Jan M. (October 1971). "The Athenian Disaster in Egypt". "American Journal of Philology". 92 (4): 605–15. doi:10.2307/292666. JSTOR 292666. Mattson, Kevin (1998). Creating a Democratic Public. Penn State Press. ISBN 978-0-271-01723-5. McGregor, Malcolm F. (1987). "Government in Athens". The Athenians and their Empire. The University of British Columbia Press. ISBN 978-0-7748-0269-7. Mendelson, Michael (2002). Many Sides: A Protagorean Approach to the Theory, Practice, and Pedagogy of Argument. Springer. ISBN 978-1-4020-0402-5. Monoson, Sara (2000). Plato's Democratic Entanglements. Princeton University Press. ISBN 978-0-691-04366-1. Morrison, J.S. ; A. W. Gomme (1950). "Pericles Monarchos". Journal of Hellenic Studies. 70: 76–77. doi:10.2307/629294. JSTOR 629294. Ober, Josiah (1991). "National Ideology and Strategic Defence of the Population, from Athens to Star Wars". Hegemonic Rivalry: From Thucydides to the Nuclear Age. Westview Pr. ISBN 978-0-8133-7744-5. Ober, Josiah (1996). The Athenian Revolution. Princeton, New Jersey: Princeton University Press. ISBN 978-0-691-01095-3. Power, Edward J. (1991). A Legacy of Learning. SUNY Press. ISBN 978-0-7914-0610-6. Ruden, Sarah (2003). Lysistrata. Hackett Publishing. ISBN 978-0-87220-603-8. Samons, Loren J. (2004). "The Peloponnesian War". What's Wrong with Democracy?. Los Angeles, California: University of California Press. ISBN 978-0-520-23660-8. Sealey, Raphael (1976). "The Peloponnesian War". A History of the Greek City States, 700–338 B.C. University of California Press. ISBN 978-0-520-03177-7. Shrimpton, G. (1991). Theopompus The Historian. McGill-Queen's Press. ISBN 978-0-7735-0837-8. Sicking, CMJ (1998). Distant Companions: Selected Papers. Brill Academic Publishers. ISBN 978-90-04-11054-0. Starr, Chester G. (1991). A History of the Ancient World. Oxford University Press US. ISBN 978-0-19-506628-9. Ober Josiah, Strauss Barry S. (1990). The Anatomy of Error: Ancient Military Disasters and Their Lessons for Modern Strategists. St Martins Pr. ISBN 978-0-312-05051-1. Tuplin, Christopher J. (2004). Pontus and the Outside World. Brill Academic Publishers. ISBN 978-90-04-12154-6. Wade-Grey, H.T. (July–September 1945). 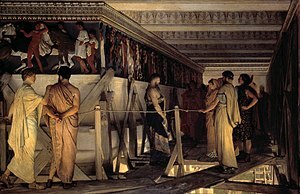 "The Question of Tribute in 449/8 B.C.". "Hesperia". 14 (3): 212–29. Yunis, Harvey (1996). Taming Democracy. Cornell University Press. ISBN 978-0-8014-8358-5. Brock Roger, Hodkinson Stephen (2003). Alternatives to Athens: Varieties of Political Organization and Community in Ancient Greece. Oxford University Press. ISBN 978-0-19-925810-9. Hesk, John (2000). Deception and Democracy in Classical Athens. Cambridge University Press. ISBN 978-0-521-64322-1. Lummis, Douglas C. (1997). Radical Democracy. Cornell University Press. ISBN 978-0-8014-8451-3. Ober, Josiah (2001). Political Dissent in Democratic Athens: Intellectual Critics of Popular Rule. Princeton University Press. ISBN 978-0-691-08981-2. Rhodes, P.J. (2005). A History of the Classical Greek World: 478–323 BC. Blackwell Publishing. ISBN 978-0-631-22565-2.